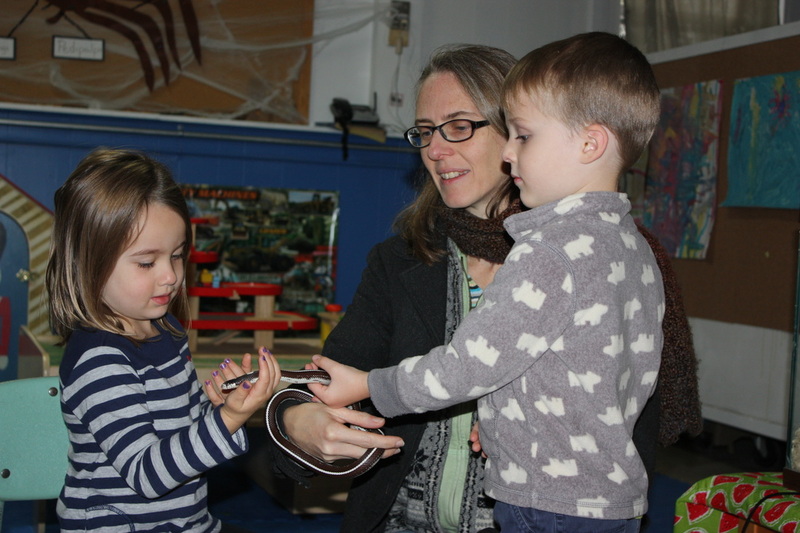 Families who make the commitment to a parent-cooperative education are rewarded with an enriching experience for their child’s first formal school experience. Parental involvement in the school makes the experience easier and the environment more nurturing for all of the children in the school. Parents become part of a network of other passionate and active parents, and while they do not typically participate in the classroom/education aspect, parents take on meaningful and important roles that ensure the school runs smoothly. Parent Work Days (2 per year, for approx 2-4 hours) where the classroom and playground get spruced up. Active participation in our major Fundraising events, Waffle Breakfast (winter) and Big Truck Day (spring). Parents choose their specific involvement from a selection of designated roles (some examples include; board positions, field trip coordinator, a shift of food service at Waffle breakfast), hopefully based on their own strengths or talents, as well as availability, to support the school. "The Hinesburg Nursery School is an important part of the preschool years for our children. The teachers, Liz and Wendy, create an environment that is nurturing and offers rich and varied experiences with music, art, cooking/baking, cultural awareness, learning respect for others, the earth and more! I value the partnership with the teachers and families and the strong sense of community within the school. " "Our experience was stellar, top notch! Liz and Wendy and Django, the dog offered my daughter a place to slowly find her confidence away from home. The loving and empowering environment gave her the chance to try new activities and make new friends slowly with time and patience. Everything was child-centered and child-directed giving my daughter a voice in her day! Many from this sweet community of friends moved together to Kindergarten making this transition a much easier experience! ​"
"Liz and Wendy are amazing teachers. They bring kindness, creativity, laughter and fun to the classroom. They make every child feel welcome, important, and treat them as if they were their own. I can't imagine better people to be our children's first teachers. At HNS, children learn how to be good friends and begin their academic career having fun and learning through play. Many of the children form long-term friendships at HNS that continue through elementary school and beyond. This is truly an unique community-based cooperative preschool. It allows parents to be part of their child's education and involved in community events with local families." "Hinesburg Nursery School provided a nurturing and stimulating environment where my son developed creativity, curiosity and confidence. Wendy and Liz let children be and explore who they are while encouraging academic, social and emotional development, preparing children for elementary school. I am so happy my son and my family got to be part of the HNS community​."